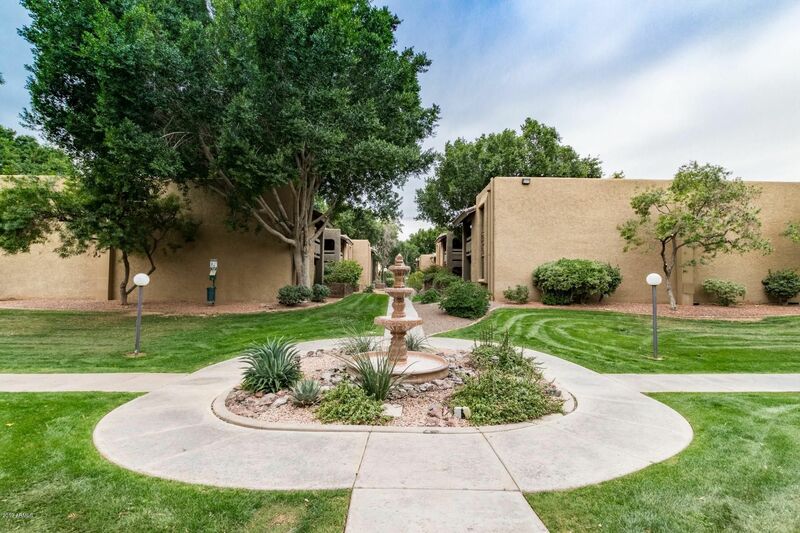 Nice & twice updated condo with 2 split-master bedrooms/bathrooms in the well & desirably located Arcadia neighborhood on the Camelback corridor. 2011 Updates included: engineered hardwood flooring replaced all carpet throughout, complete remodel of kitchen/cabinetry/stove/oven/granite countertops, under-cabinet LED lighting, complete remodel of east-bathroom, updated plumbing throughout, and two-tone professionally painted. Stacked washer/dryer in unit. 2019 Updates included: new stainless steel dishwasher, microwave, faucet in kitchen and remodel of west-bathroom new cabinetry w/built-in-wine cooler, quartz countertop, lighting, polished brass Moen shower/tub trim/accessories, and new toilets in both. In 2016, bathrooms also had new Moen Posi-Temp internal shower/tub valves added.